Happy Halloween! Trinitytwo/Tracey interviewed master sculptor Mario Chiodo at NYCC 2015 about The Nightmare Collection which features 14 hand-crafted masks and costumes created exclusively for BuyCostumes.com. Not only is NYCC a venue to see great cosplay and attend cool panels, it is a place to discover amazing artists. 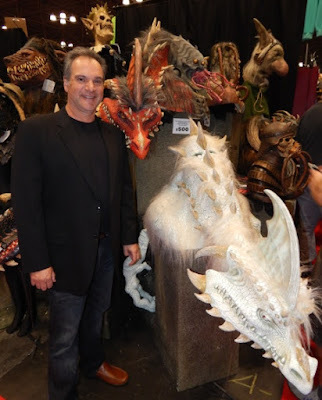 Mario Chiodo is the creative genius behind the fabulous Nightmare Collection, an eclectic array of monsters and mythical creatures that aren't just for Halloween. This special collection is available at BuyCostumes.com. I had the pleasure of interviewing Mario and he gave me some insight into what it takes to design these fantastical creatures. 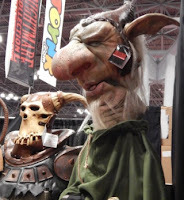 Click on a title to go to that mask at BuyCostumes.com. They are amazing! Please welcome Dr. Ken Altabef to The Qwillery with a post on medical mistakes in SF! As a lifelong Star Trek fan it pains me to write this but it’s true. There can be no such thing as interspecies children. In fact, that’s the definition of species – anything you can mate with and produce offspring is the same species as you. Anything you can’t mate with and produce offspring is another species. All dogs are the same species. Dogs can’t mate with cats. And humans can’t mate with Vulcans. Reproduction is a very exacting thing. In order for conception to occur both gametes (that’s the sperm and the egg) have to have the exact same number of chromosomes with the exact same types of genes in corresponding locations. If they don’t line up side by side, everything goes wrong. No fertilization. Vulcans aren’t just people with pointy ears and a comically stoic personality. Their entire physiology is different. Vulcans have different organs, a different muscle structure (which makes them stronger than us), faster metabolism, a telepathic brain, a bizarre method of reproduction and totally different blood. All of these traits are coded by genes. There’s just no way a Vulcan’s genes are going to line up next to a human’s. Look at it this way – a gorilla might be considered a hairy, mostly stupid alien. Humans and gorillas are about 98 percent identical on a genetic level and have all the same organs and basic structures. We can’t mate with them. On a more obvious level, Spock’s blood is an unsurmountable problem. Human organs certainly can’t use copper-based blood. Believe me, if you got a transfusion from Mr. Spock, your head would probably explode. Copper-based blood will only work for Vulcan organs, so Spock’s entire body has to be Vulcan. So how then is he half human? I guess a crazed geneticist might argue that human genes are all recessive to Vulcan genes. But in that case Spock would have only one copy of each active gene and be riddled with birth defects. There’s a reason why we have two copies of each gene. With Klingons it gets even worse. 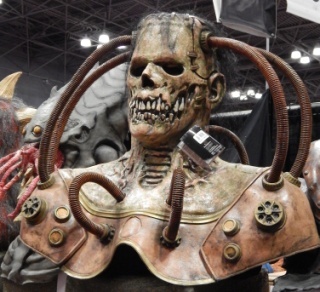 They have creepy magenta blood and every organ has a backup, including extra pairs of lungs, kidneys, an extra heart, different skeletal structure and even a secondary brain stem. These genes on a Klingon sperm all have to have direct counterparts in a human egg or it won’t work. B’Elana Torres and a whole host of mixed-species Star Trek characters can not exist. Sarek might have been amok for human girls and he can rub index fingers with Amanda all day long but they won’t get a child out of it. There are no such things as human pheromones. There, I said it. I know this will be shocking to most sf fans. The idea of human pheromones has appeared, much to my annoyance, in so many sf books and movies it’s become one of those self-perpetuating fallacies. Writers keep reading about it, and knowing no better, keep writing about it. But they don’t exist. Pheromones are chemical markers used by nonverbal species (primarily insects) to communicate information. For example an ant comes across a particularly tasty bit of road kill and leaves a chemical trail (pheromones) to lead its friends to the booty. If it were you or I, we’d just tell our friends where to find it, or maybe leave a note or send a text. The grain of truth to the myth is that people do have a sense of smell and react to smells, but odors are just not the same thing as pheromones. I couldn’t possibly list all the ridiculous usages of pheromones in sf but now that I’ve mentioned it you’ll soon notice them popping up everywhere. There’s even a Marvel superhero based on this idea. Stacy X uses pheromones to make people love her or do whatever she wants. It can be argued that as a mutant she may have developed human pheromones and I wouldn’t argue with that, but the problem is the rest of the people she’s spraying these things at don’t have them and have no receptors for them. Her pheromones just won’t work on normal people. This one isn’t specific to sf but is epidemic in TV and literature of all types, going all the way back to the pulp era. We’ve seen this so many times on TV everyone thinks it’s real. I’m talking about the notion that someone can be hit on the head and forget their own identity. This never happens in real life. It’s not even remotely possible. The grain of truth is that a knockout will cause you to forget the events of the few minutes preceding the hit, because the memories haven’t been set down in your brain yet. That’s not a case of forgetting so much as not remembering in the first place. But your identity is the last thing you could ever forget. You are reminded of your identity a million times every day – every time you look in the mirror, sign your name or even think about yourself. You are aware of who you are from the minute you wake up to the minute you go to sleep (and even while you are asleep and dreaming). There are rare cases where a person has blocked out their identity after a tremendous trauma, but it isn’t going to happen from a bonk on the head. Not ever. So all those people stumbling around at the beginning of sf and suspense stories seeking to unravel the mystery of their identity, or who’ve gone suddenly missing on soap operas, have got it all wrong. But if it does happen, the cure for this condition is equally ridiculous – another bonk on the head. Lately I’m seeing this one a lot on TV. Some thug comes up behind our hero/heroine and jabs a syringe into his/her neck to knock them out. This makes me cringe, and not just because of the needle. It’s just crazy. I suppose they are injecting into the jugular vein, the big vein deep in the neck. Putting aside the fact that it would bleed like crazy, the idea that some goon could find the right spot in a sneak attack against a struggling opponent is beyond belief. As a doctor for a quarter century I couldn’t hit that vein on the fly in a million years. It’s not just finding the right spot; it’s also a matter of depth. The needle has to penetrate the vein and stop before passing out the other side. As anyone who’s ever had blood drawn can tell you, needles are inserted almost parallel to the vein. Any other angle and you’re likely to overshoot. But these untrained idiots jab the needle in perpendicular to the vein and gauge the depth exactly. And even worse, this whole procedure is completely unnecessary. Why not just use the old blackjack or chloroform? Stick a needle in this one, it’s done. In the old days zombies were magical creatures – some voodoo priestess worked a spell and raised the dead to do her nefarious bidding. Scary. That was fine with me. But in recent years sf writers seem compelled to say that zombies are caused by a virus. I get it. Brings a fear of disease into it. And that could be scary too if it wasn’t so ridiculous. It’s interesting to note that in the granddaddy of the recent zombie era, Romero’s 1968 film Night of the Living Dead, the beasties were reanimated by that old sf bogeyman “mysterious space radiation” and not a virus. Zombies on TV don’t need to eat or breathe, and have recently been seen to exist as decapitated heads kept underwater in fish tanks. This pseudo-scientific virus explanation falls flat. You see, viruses don’t work that way. 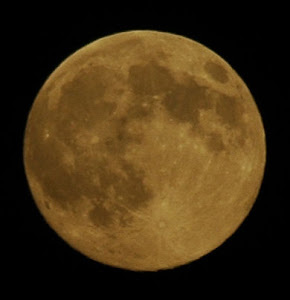 Zombies still have a human body and muscles need oxygen in order to move (or electricity but that’s beside the point). I can get into the physiology of it and bore you silly but take my word for it muscles don’t work without a supply of oxygen. They can’t, except by magic. So zombies must be breathing in order to move their limbs around. Of course the oxygen has to get to the muscles from the lungs, so the heart must be pumping as well. And let me tell you folks, you can ask any doctor, if you’re breathing and your heart is beating – you’re alive. And it wouldn’t take a blow to the head to stop your heart or bleed you out. You’d just die from, well, whatever killed you in the first place. Bring back the Voodoo priestess please. A virus just can’t animate dead tissue. It’s like saying the onboard system on my car has a computer virus so now it runs without gasoline. Nope. 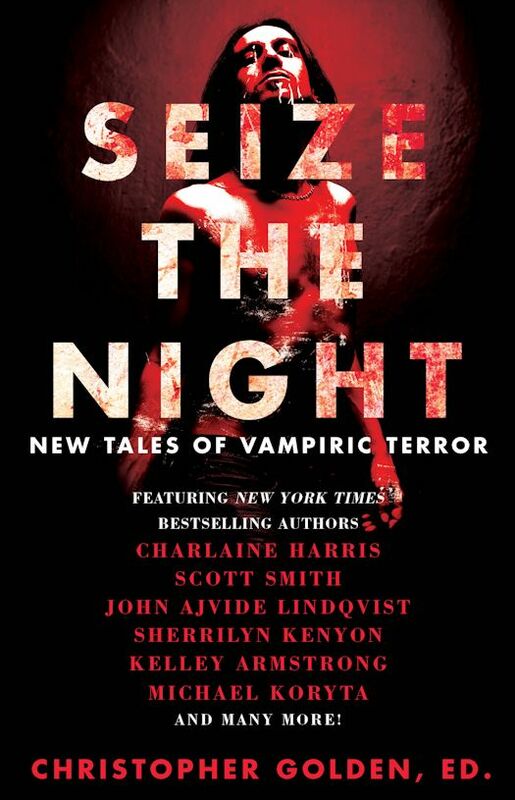 I was looking for something scary to read for Halloween and Seize the Night edited by Christopher Golden caught my eye. After the candy has been handed out and the night becomes quiet it will be time to read! 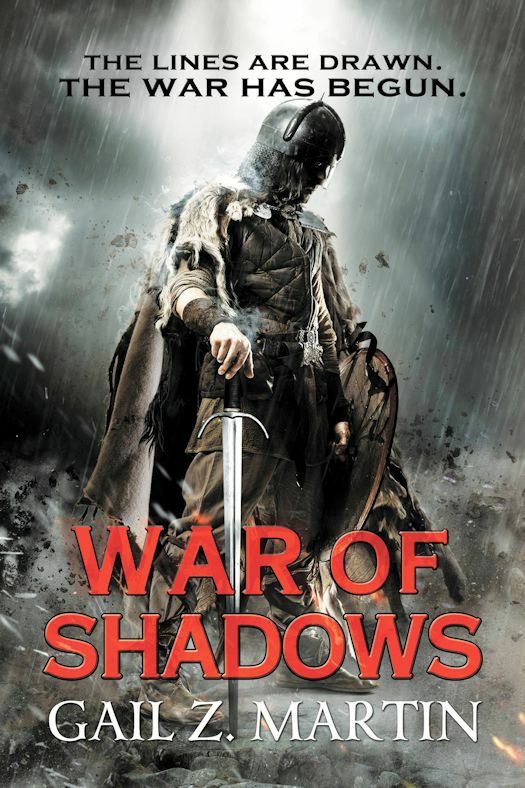 Christopher Golden is the #1 New York Times bestselling and Bram Stoker Award-winning author of such novels as Snowblind, Tin Men, Of Saints and Shadows, and The Boys Are Back in Town. His novel with Mike Mignola, Baltimore; or, the Steadfast Tin Soldier and the Vampire, was the launching pad for the Eisner Award-nominated comic book series Baltimore. 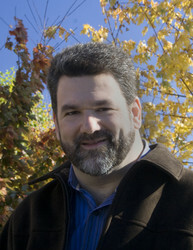 As an editor, he has compiled the short story anthologies The New Dead, The Monster’s Corner, and Dark Duets, among others, and has also written and co-written numerous comic books, video games, and screenplays. Golden was born and raised in Massachusetts, where he still lives with his family. His original novels have been published in more than fourteen languages in countries around the world. Please visit him at christophergolden.com. 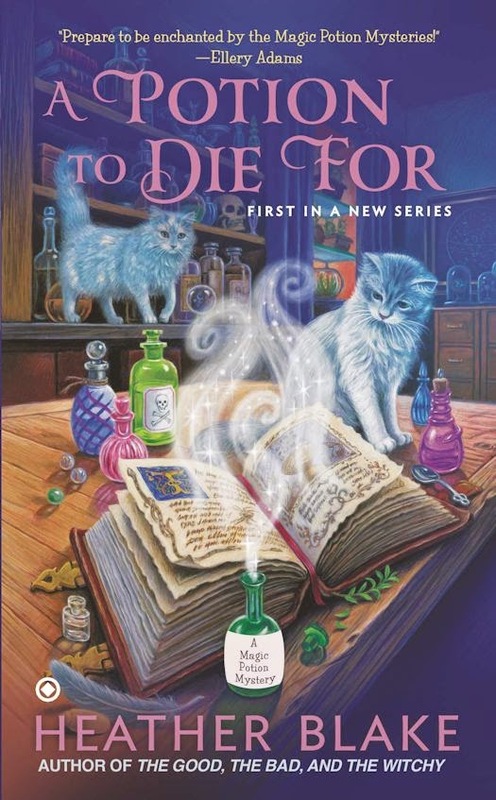 Ghost of a Potion is the third installment of in Heather Blake’s Magic Potion Mystery series. 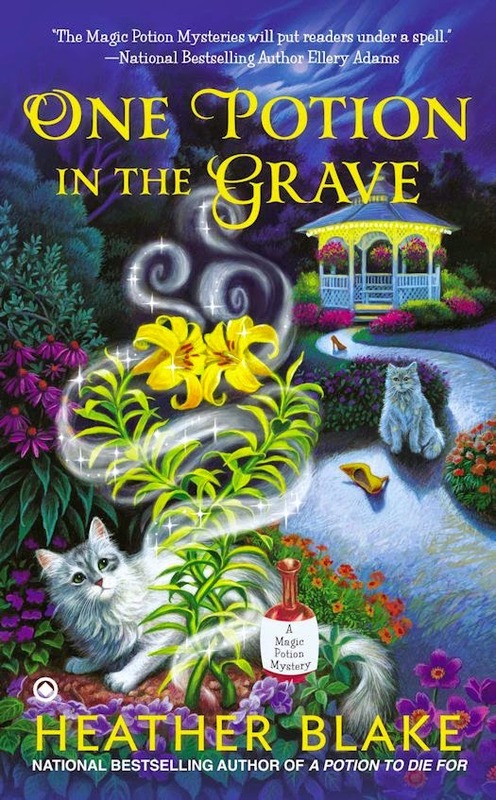 The main character of the series is Carly Bell Hartwell, an empath and natural white witch, who runs a magic potion shop in the little town of Hitching Post, Alabama, which is well known for its many wedding venues. This time around, Carly is planning to spend Halloween safely ensconced in her home, with her cats Roly and Poly, to ride out the annual awakening of the local ghosts. As a witch, Carly can see ghosts at this time of year, and if they see her, she must help them in any way she can to find the light, but a bad experience with an evil ghost in her past has her running for cover. Unfortunately, Carly must attend a costume ball with her boyfriend, Dylan Jackson, before she hibernates and gets caught by the recently murdered ghost of local architect, Haywood Dodd. Now Carly has three days to help Haywood find his killer, if she doesn’t, Haywood will be trapped in his grave until next Halloween. Carly is a fun character. She has little to no filter, making her dialogue realistic and humorous, and she has a very short fuse, so the many times she gets angry, are very entertaining. Carly’s magic comes from her father, Augustus Hartwell, quiet and kind, but long suffering non-spouse to Carly’s mom, Rona Fowl. Rona, a big, audacious blonde, runs one of the town’s most successful wedding venues, but is completely marriage-phobic and, even after living With Gus most of her life, will not marry him. Both are very present in Carly’s life and are both supportive of their daughter, just in very different and comical ways. Carly has rekindled her romance with her former fiancé, local police detective Dylan Jackson. Dylan is a dreamy hunk with one flaw, his mother. Dylan’s mother, Patricia Davis Jackson, has despised Carly for years, for no apparent reason, to the point where she actually sabotaged their planned marriage years ago to break the pair up. In this novel, we see Dylan start to stand up to his cold and snobbish mother, and declare his love and commitment to Carly more forcefully. Carly has two best friends, the oldest being Ainsley Debbs, former wild child, now wife to a local pastor and mom to three rambunctious young children. Carly has just begun to be close to her formerly estranged cousin Delia Bell Barrows. Delia is a natural witch, like Carly, but Delia’s family went to the black side of the spectrum after a family feud when the girls were born. Delia also owns a shop in town, hers specializing in tiny hexes for revenge. Although she seems to have embraced the dark side of her magic, Delia is really very similar to Carly. They are both compassionate empaths, who staunchly support their loved ones and always manage to do the right thing. The relationship between Delia and Carly is one of the best of the series. Carly also has three eccentric aunts from her mom’s side of the family, affectionately called the Odd Ducks. The Odd Ducks, Eulalie, Margi, and Hazel, are wacky triplets who all own small inns right on the same street where Carly lives. In this installment, we really only see Eulalie, who is movie star lovely, even at her advanced age, recklessly adventurous, and desperately but unsuccessfully looking for love. Carly’s other neighbor is Mr. Dunwoody, an unofficial uncle who is also older. He is a distinguished former professor who is quiet and observant. Carly will often sit with him on his porch and always leaves their encounters richer in knowledge or insight. Along with these already wonderful characters, there are a plethora of townspeople and others introduced to power the mystery. Most notably Hyacinth Foster, Idella and Gabriel Kirby, Barbara Jean Ramelle, Mr. Butterbaugh, and Avery Bryan. Hyacinth is the president of a tight knit and powerful Harpies, The Hitching Post Restoration and Preservation Society, a local group with few members who do good works around town, one being the renovation of an old town mansion, which happens to be the site of Haywood Dodd’s murder on the night of the masked ball. Hyacinth is also Haywood’s girlfriend and is visibly grief stricken throughout the book. Another Harpie is snooty Idella Kirby. She is married to beloved town veterinarian, Gabriel Kirby, who is kind and well liked. Barbara Jean is the town’s hardnosed mayor, and, of course, another Harpie member, she’s married to restaurateur Doug. Poor Mr. Butterbaugh, a sweet hypochondriac who has recently fallen for Aunt Eulalie, tragically as she does not return his affections, and is the live in caretaker of the mansion where the murder takes place. Avery Bryan is the out of towner, who is filled with mystery but seems to have some kind of connection to Haywood and the murder. There are also two other locals that must be mentioned. Jenny Jane and Virgil, two more needy ghosts that Carly accidentally meet. They are both fully realized characters, even if they are decidedly non-corporeal when they are introduced. The characters of this novel are the real stars of the book. They are multidimensional and realistic. Their interactions and relationships are well done and leave the reader feeling like they would easily recognize them if they met them by chance at the coffee shop. The mystery and minor storylines all run seamlessly together and have wonderfully done endings. 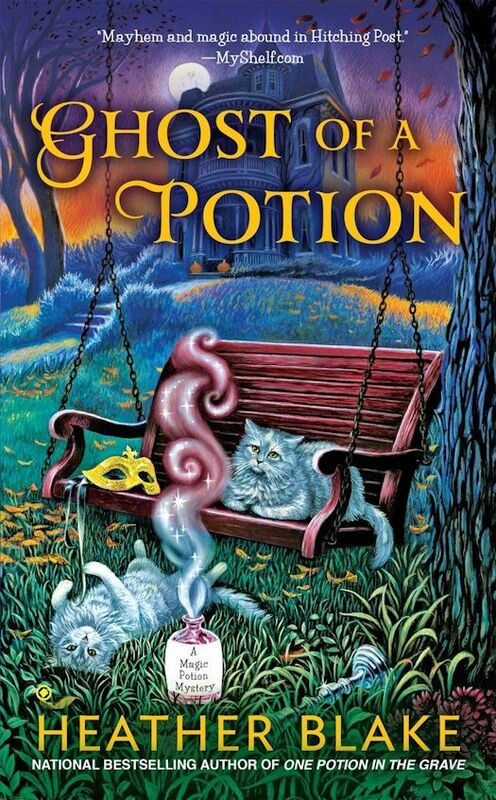 Ghost of a Potion is a wonderful cozy mystery and is a must read for those who enjoy a little bit of the paranormal with their cozies, and for those who enjoy snappy dialogue, comical situations, and excellent characterization. 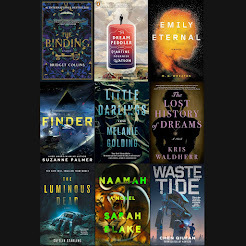 Explore the Robot Universe, and discover the hundred most epic androids and automatons from myth, through popular culture, to modern-day machines. Robot aficionado Ana Matronic—vocalist with world-famous band Scissor Sisters—explores their creation, design, purpose, and how they have comforted, fascinated, or terrified us across the ages and galaxies, profiling key sidekicks, servants, saviors, murder machines, cyborgs, and others in every genre. 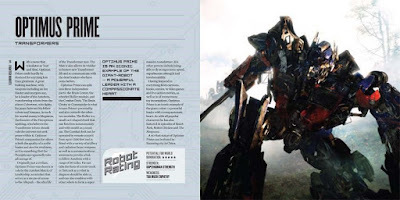 In-depth features cover special focus topics, such as robots in art and fashion, video games and comics, and music. This richly illustrated collection deftly shows how we have defined and redefined robots, why they capture our imagination, and why they’re here to stay, ending with a look at real-life robots from early prototypes to what lies in our robotic future. 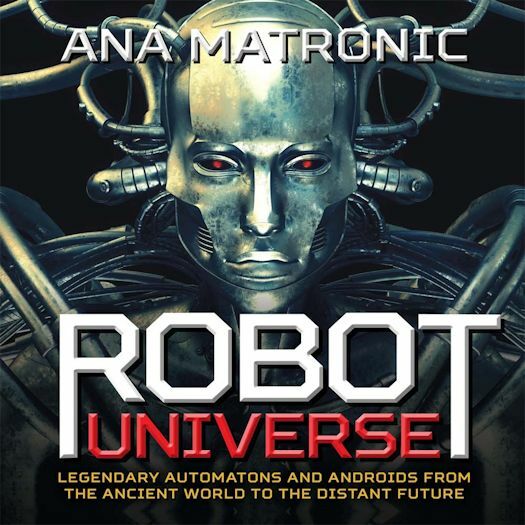 Robot Universe by Ana Matronic is divided into two main sections - Robots Imagined and Robots Realized. Robots Imagined covers 65 fictional robots with Matronic's reasons they should be included. She includes robots from novels, movies, TV, comics and more in well done subsections such as Servants, Sidekicks & Saviors and Robots in Music. Robots Realized covers Early Prototypes to The Future is Now with a fascinating look at what has happened and what is happening in robotics presently. Robot Universe is a visually beautiful book that is both informative and well thought out. Matronic knows her robots and the Introduction should not be skipped. While not every fictional and non-fictional robot is included, this is a wonderful survey which covers many iconic robots and many not-so-iconic and possibly forgotten robots. Robot Universe is a fabulous and fun book for robot fans of all ages and those who would like to learn about this fascinating topic. Ana Matronic is a musician, performer, radio presenter, DJ, and visual artist best known as the female lead of the internationally acclaimed band Scissor Sisters. A lifetime of loving robots inspired her stage name as well as the bionic circuitry tattoo on her right arm. She lives in Brooklyn, New York, with her husband, Seth Kirby, and her cat, Izzy. Who and When: The contest is open to all humans on the planet earth with a US or Canadian mailing address. Contest ends at 11:59 PM US Eastern Time on November 7, 2015. Void where prohibited by law. No purchase necessary. You must be 18 years old or older to enter. 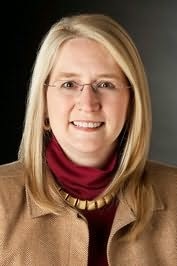 Please welcome Gail Z. Martin to The Qwillery as part of her Days of the Dead Tour! This year, I’ve had three new books—epic fantasy (War of Shadows), urban fantasy (Vendetta—coming in December) and co-authored with my husband, Larry N. Martin, steampunk (Iron & Blood). We’ve also co-authored two sci-fi stories for anthologies and three additional stories for anthologies that were steampunk/superhero and steampunk/Weird West, and I’ve done other short stories in my urban fantasy and epic fantasy worlds for other anthologies and for the four different series of short stories/novellas that we publish on our own. That’s a whole lot of genre gear-switching! At first, I was a little nervous about changing back and forth among genres. I’ll admit it gets a bit hectic when we’re handling editorial comments on two manuscripts simultaneously (in two different genres) while writing a third manuscript (in another genre) and occasionally taking a few days off to write a short story for an anthology (sometimes for a fourth genre). It can be a little like being on a long trip with tours in many cities—an ‘if this is Tuesday, this must be Belgium’ syndrome for fiction. It’s Monday—remind me again which series I’m working on? But the truth was, while things got a little hectic with overlapping deadlines, it wasn’t hard to keep everything else straight. Maybe that’s because the sense of place is so strong for me in the stories that I know where I am once I get my mind back into the action, or perhaps it’s because the characters are so grounded in their ‘when and where’ for me that the flow of thoughts just picks back up naturally. I can honestly say there was never any confusion about who was where doing what! What does differ—sometimes dramatically—is the pacing, the voice and the humor. Epic fantasy is generous about leaving an author room to build a whole new, complex world. There still needs to be lots of action, but there’s more space to set things up because you’re talking about huge battles and big armies and plots to overthrow kingdoms. Epic fantasy is almost always third-person viewpoint, so the characters’ voices come through more clearly than when you have an author/narrator. And the humorous touches are generally rarer. 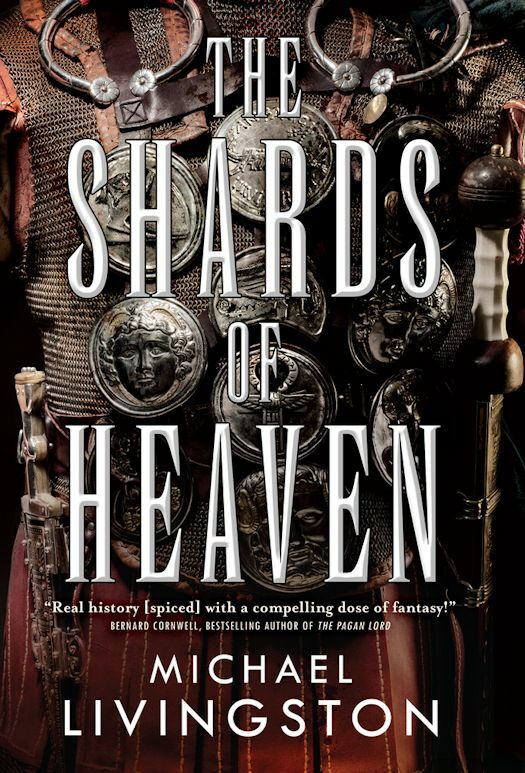 Epic fantasy can be thrilling, heroic and action-packed, but it tends to be rather serious stuff. Research differed among genres also, since with a medieval setting, there’s a lot of fact-checking on weapons, modes of warfare, and other details necessary for believable, immersive world-building. With urban fantasy, it’s almost always first-person viewpoint, and usually set in the modern world. There’s plenty of action, and you can get into the heart of the plot faster because the world is mostly familiar since it’s the real world with a twist. Because of the first person viewpoint, there’s a more conversational style, since you’re in the protagonist’s head. That requires a strong character voice, which leaves openings for more humor. The feel of the whole book is colored by that first person viewpoint character, because the reader sees the world and all the action through that character’s eyes. Research for urban fantasy tended for us to focus on the geographic location of the story—in this case, Charleston, SC—and historical information related to the plot. Since the story is set in modern-day Charleston, some of that research involved visiting and walking around, something only partly possible via proxy with epic fantasy (although a trip that involved touring a lot of castles and fortresses helped a lot). 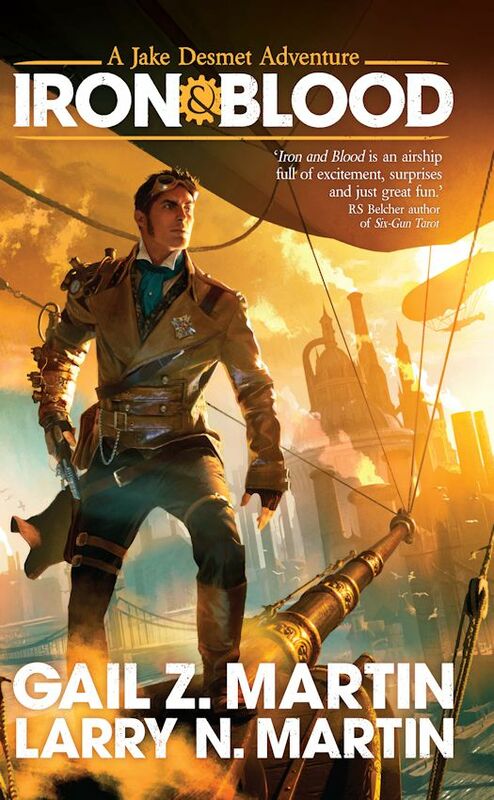 Steampunk, at least for us, has the pacing of a Bruce Willis action movie but with airships. We made it a challenge to shoot something or blow something up in every chapter, and I think we succeeded. We also went for a cheeky sense of humor, even when the going gets tough and seriously bad stuff starts to happen. The gadgets and steam-powered technology were an important part, as was the alternative history world-building, but we wanted the pacing of a thriller along with snappy repartee. Research for Steampunk focused not only on the geographic location and its history (in this case, alternative history Pittsburgh in 1898) but also details about inventions, patents and technology. There were similar challenges on the science fiction and superhero short stories, with variations in tone, viewpoint character voice, world-building, genre conventions and types of research. That’s what made it challenging to accept the prompts for the anthologies, and rewarding when the stories came together. It helped a lot to have read widely in all of the genres we worked in, to have a feel for how some of the bestselling authors and stories have spun their tales. You can learn a lot in this business by analyzing what works well (or doesn’t) in books by other authors, and by being mindful of your own reactions as a reader when you’re in the midst of being carried away by a good book. Then you take what you’ve learned and put it to use in your own writing. At times, with all that going on, an author’s head feels pretty crowded. But I was very happy to come away with three books with three distinctly different styles, as well as short stories in two additional genres we felt held up to the expectations of those settings. And all that gear-shifting and genre-swapping feels like it’s here to stay. Amidst the shadows, chaos reigns. Blaine "Mick" McFadden managed to partially restore Donderath's magic, but not without a cost. He and the magic are now bound together, and the power remains dangerous and erratic -- draining the life from him with every use. 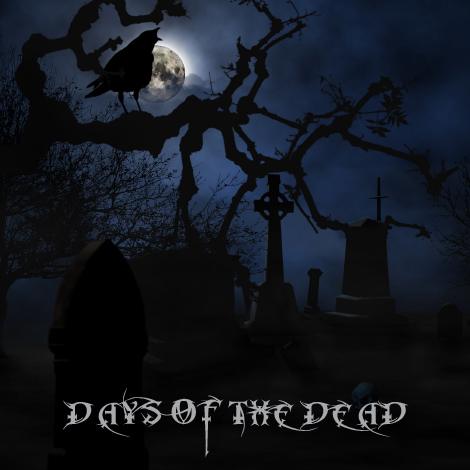 New threats are rising from the wreckage of the battered kingdoms, and warlords both mortal and undead vie for control. Now, Blaine and his unlikely band of convict heroes must find allies amidst a seas of enemies, and discover a way to rebind magic to the will of mortals before it destroys him. A Steampunk adventure novel set in the fictional city of New Pittsburgh. Jake Desmet and Rick Brand, heirs to the Brand & Desmet Import Company, travel the world to secure treasures and unusual items for the collections of wealthy patrons, accompanied by Jake's cousin, Veronique 'Nicki' LeClercq . Smuggling a small package as a favor for a Polish witch should have been easy. But when hired killers come after Jake and a Ripper-style killer leaves the city awash in blood, Jake, Rick and Nicki realize that dark magic, vampire power struggles and industrial sabotage are just a prelude to a bigger plot that threatens New Pittsburgh and the world. Stopping that plot will require every ounce of Jake's courage, every bit of Rick's cunning, every scintilla of Nicki's bravura and all the steampowered innovation imaginable. 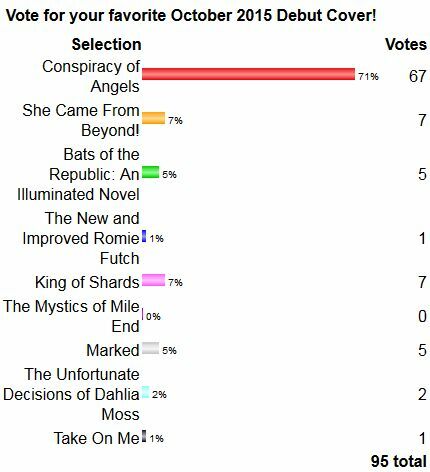 The winner of the October 2015 Debut Author Challenge Cover Wars is Conspiracy of Angels by Michelle Belanger from Titan Books with 67 votes equaling 71% of all votes. Thank you to everyone who voted, Tweeted, and participated. 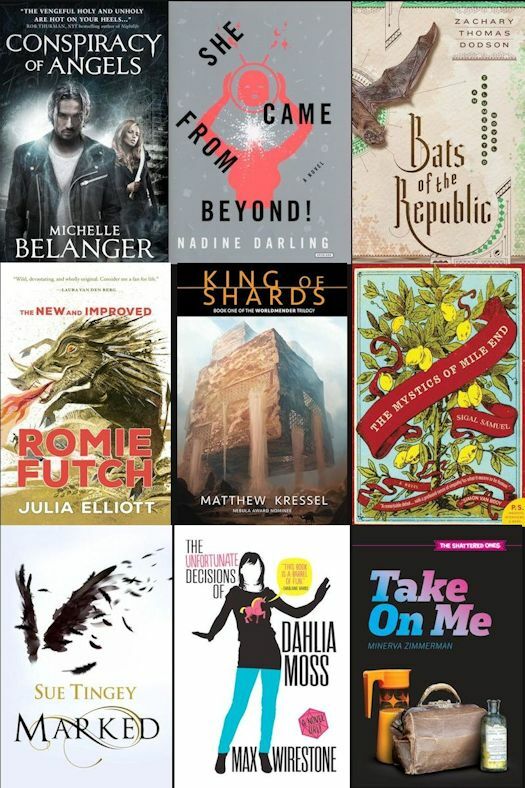 The 2015 Debut Author Challenge Cover Wars will continue with voting on the November Debut covers starting on November 15, 2015. Debate rages over whether the Reidier Test’s disastrous outcome resulted from human error, government conspiracy, or sabotage. No one has actual knowledge of the truth. But hidden from the public eye, there exists a government report commissioned from criminal psychologist Dr. Hilary Kahn, chronicling the events that took place. Dr. Kahn disappeared without a trace. Now her son Danny has unearthed and revealed the report, fueling controversy over the details of Reidier’s quest to reforge the fabric of reality and hold his family together. Exposed with little chance of finding his mother, Danny goes underground to investigate. But nothing can prepare him for what he discovers. In this thrilling saga, a paradigm-shattering feat may alter humanity’s future as quantum entanglement and teleportation collide. 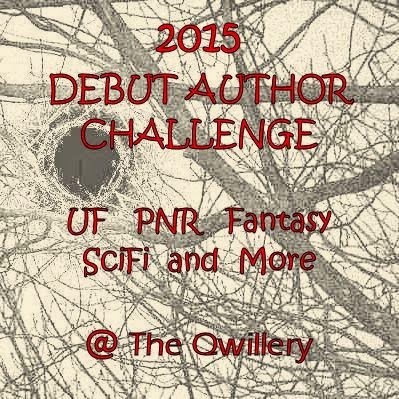 Please welcome Michelle Belanger to The Qwillery as part of the 2015 Debut Author Challenge Interviews. 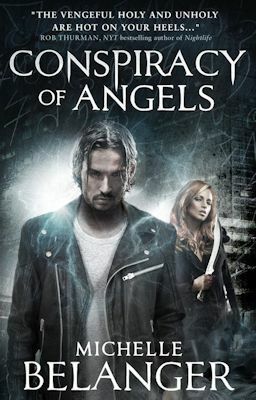 Conspiracy of Angels, the first novel in the Shadowside series, is published today by Titan Books. Please join The Qwillery in wishing Michelle a Happy Publication Day. Michelle: I started writing because there was no other choice. Words and stories clamored in my head and they all wanted out. I made my first professional sale at seventeen and I haven't looked back since. Although my initial aspirations were in fiction, I found a very comfortable place for myself writing non-fiction for many years. My Dictionary of Demons, released through Llewellyn Worldwide in 2010, remains one of my most popular works. It's in its seventh or eighth printing now. I love the detective-work of intensely research-based non-fiction, but the urge to tell stories never went away. When the Shadowside series began taking shape, I got so invested in the characters and their world that I knew it was time to make a change. Michelle: I'd love to be a straight-up plotter -- it always seems like it would be easier. Certainly, I start out that way, mapping out my stories in broad strokes, usually scene by scene. But in the end, the characters demand hybridization. Just when things get intense, they veer off in a direction I didn't foresee, and it's too exciting not to follow where they lead. As a writer, it's really delightful for me when the characters become so real that they can catch me off guard. I think allowing for some wiggle room for those kinds of twists enlivens the story. Michelle: With fiction writing, I sometimes feel overwhelmed by all the possibilities. When I write non-fiction, sense and structure are so straight-forward. Facts are facts, and there's a clear and certain way in which to arrange them. But with fiction, every story could be a Choose-Your-Own-Adventure book. There are so many roads not taken, what-ifs, and might-have-beens. Each and every character faces choices that can change them and thus change the direction of the story. Even when I start with a map of the action, all those possibilities sing out and it can be hard to resist the temptation to explore. I'll admit -- every once in a while, I indulge my curiosity and write an alternate scene just to see how those might-have-beens play out. Michelle: Like so many who grow up to be writers, I started out as an early and voracious reader. For as long as I can remember, I've had a penchant for the weird and macabre, so one of my early favorites was the short story collection October Country by Ray Bradbury. His tales really spoke to me, maybe because he shared my Midwestern roots, but also for his subtle juxtapositions of the familiar and the strange. Bradbury is directly responsible for my love of Urban Fantasy. As a teen, I discovered Chelsea Quinn Yarbro's Saint Germain series, and I was hooked. Current favorites include (but are in no way limited to!) Jim Butcher, Robin Hobb, Laurell K. Hamilton, and Seanan McGuire. Max Gladstone also blew me away with his Dracula short, "A Kiss with Teeth." TQ: Describe Conspiracy of Angels in 140 characters or less. Michelle: No memory. Sixty bucks to his name - and a tribe of warring angels out to do worse than kill him. Zachary Westland's having a hell of a day. TQ: Tell us something about Conspiracy of Angels that is not found in the book description. Michelle: Cleveland, Ohio is awesome. Seriously. It's an urban fantasist's dreamland. We've had Rockefeller, Langston Hughes, Thomas Edison, and Elliot Ness all living and working here. Saudi sheiks travel halfway across the world to get treated at our hospitals. There are salt mines 1800 feet under the city, epic disasters that inspired headlines like "They Died Crawling," a tangled mafia history, world-renown museums with collections that should make you green with envy -- and that's to say nothing about the Mad Butcher of Kingsbury Run. Half my trouble is deciding which delicious nuggets of local color to weave into the world and which to save for later. 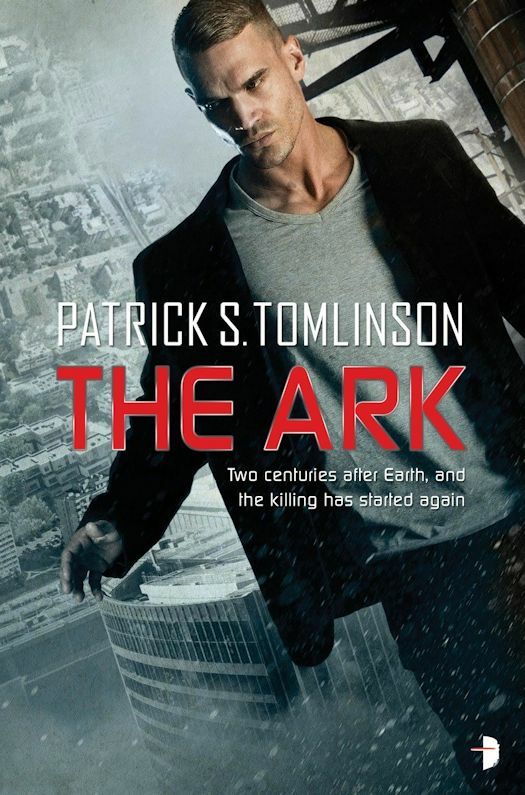 TQ: What inspired you to write Conspiracy of Angels, your first fiction novel? Michelle: I was sitting outside this haunted house, waiting for a local shaman to finish a ceremony to clear the ghosts -- like you do when your day job involves chasing spirits on international television -- and I started thinking about how my life had come to resemble another person's idea of fiction. And I indulged in a little game of what-if. What if this part of my life were a novel? Who would the characters be? What kinds of adventures might they have if clearing hauntings and hunting ghosts were as cool and showy as viewers wanted them to be on reality TV? Zack came out of that, and Sal and Remy soon followed. Before I knew it, I was writing furiously, and the Shadowside was born. Michelle: Urban Fantasy holds up a darkened mirror so we can explore our current world and all of its foibles. The settings in UF revolve around cities you can find on a map right here and now, and most authors in the genre do the research to make those cities as real as possible. That unflinching verisimilitude opens the door for so many subplots relevant to the very human experiences that help to make characters vital and relatable. Juxtaposed against the supernatural elements integral to the genre, those human experiences can really shine. TQ: What sort of research did you do for Conspiracy of Angels? Michelle: The short answer is a lot, but then, coming from non-fiction, research is sort of my thing. 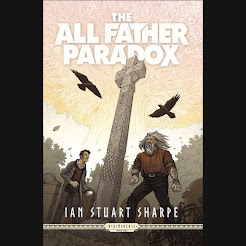 I've written about vampires, demons, ghosts, and psychic phenomenon, and in the Shadowside all these things converge where I can have fun with them. I very freely mine my previous research, building the supernatural elements of Zack's world on the bones of real occult practices and beliefs. 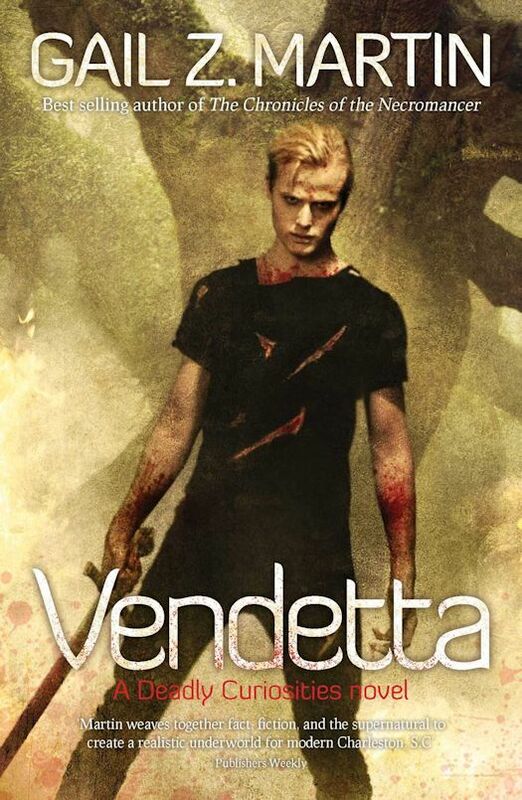 As mentioned earlier, the verisimilitude inherent in Urban Fantasy really appeals to me. When a character uses a gun, readers expect that experience to reflect how a person would use the same gun in the real world. Get the little details wrong, and for many readers, that breaks the immersion. In a similar vein, drawing upon established elements of the paranormal and occult helps to build immersion so, when I veer into the realm of the truly fantastic, it has much more impact. Michelle: Hands-down, the easiest character to write is Lil. Known as the Lady of Beasts, she's what you'd get if you crossed Jessica Rabbit with Deadpool - only without his penchant for breaking the fourth wall. Brash and outspoken, she delights in weaponizing the expectations of people around her -- and she's already got a pretty deadly arsenal. Everything moves more swiftly when she's on the scene. The fact that my main character Zack never knows which way to jump when she's around is just a bonus. The character who presents the biggest challenge is Terael. He's a disembodied spirit tied to a statue at the Cleveland Museum of Art. He is completely inhuman, thousands of years old, and a little unhinged as a result. His dialogue reflects this, and I go for a lilting kind of sing-song pattern when he speaks -- almost, but not quite, blank verse. Getting the right mix of informative and inscrutable can take a few tries. 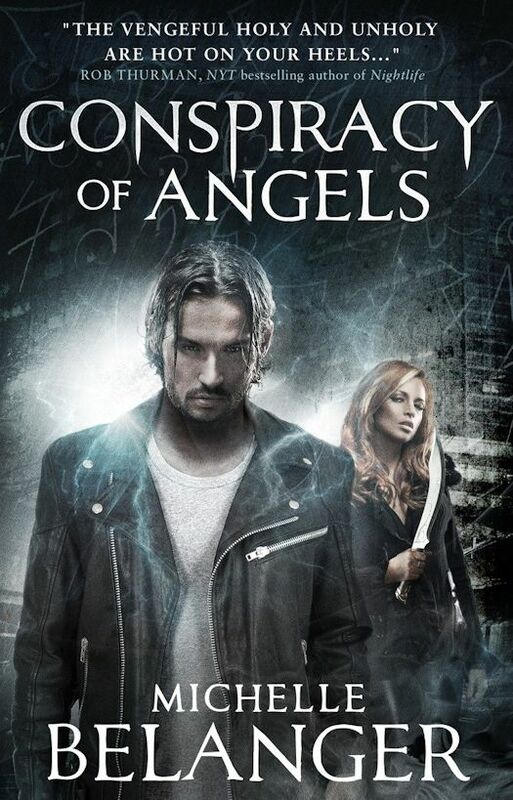 TQ: Which question about Conspiracy of Angels do you wish someone would ask? Ask it and answer it! Michelle: On the back of the book, Saliriel is described as transsexual. How much does that play into the story? Honestly, about as much as the fact that Sal has blond hair. Sal's been running around in the same body since the court of the Medicis. She is old, she is powerful, and she has finally found herself in an age where the technology exists to make her outside match how she perceives herself within. As can be expected, everyone who encounters her has different opinions on her choice, just like in the real world. But, also as it is in the real world, that choice is merely one facet of who she is. TQ: Give us one or two of your favorite non-spoilery lines from Conspiracy of Angels. Michelle: For lyricism, this line from the beginning of Chapter Six remains one of my favorites: "Once in a while I passed houses, but they were an acre back or more, their lights shaping dim constellations in an otherwise starless night." For sheer Zack-ness, I'd have to pick this, from Chapter Thirty-Two: "He was stronger than me, which only figured. As a vampire, he had an automatic edge -- faster, stronger, more fashionably inclined." Michelle: Right now, I'm focusing on the Shadowside series. The second book, Harsh Gods, is already done, and I'm currently working on book three, The Resurrection Game. I can't get enough of Zack's world. Michelle: Thank you for the opportunity to dish a little about the Shadowside! Michelle Belanger is a nonfiction author, a member of the vampire community, and a psychic seen regularly on the television series Paranormal State. She’s been featured on programs on HBO, the History Channel, and CNN Headline News, and teaches classes around the country on dreamwalking, energy exchange, and spirit communication. 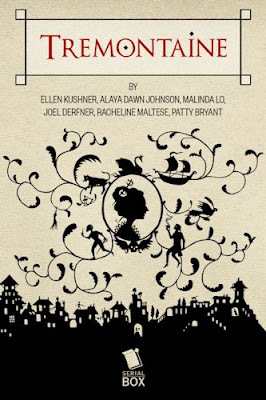 I've had the pleasure of reading the first episode of Tremontaine which is written by Ellen Kushner - terrific writing, engaging characters and intrigues galore. Check out the first Episode on October 28th. This is terrific episodic fiction. 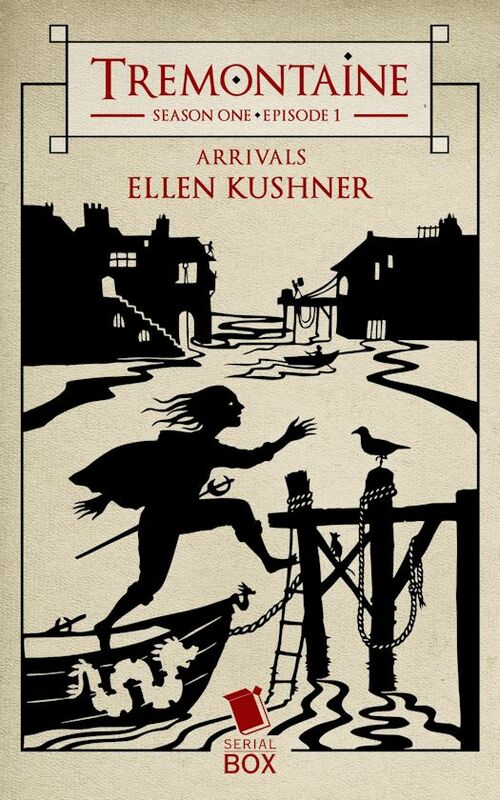 Tremontaine is the long awaited return to Ellen Kushner’s beloved Riverside series and the prequel to the cult-classic Swordspoint. This “Fantasy of Manners” follows the lives and intrigues of four very different characters as they maneuver the cobblestone streets and glittering ballrooms of a city that never was. Nameless, but inspired by Elizabethan London, 18th century Paris, New York in the 1980s, the setting of Tremontaine comes alive behind the colorful figures of Micah the genius; Rafe Fenton, a man of many passions; the mysterious foreign swordswoman, Ixkaab Balam; and of course: Diane, Duchess Tremontaine, a character well-met in the original series, but whose history has remained a mystery until now. 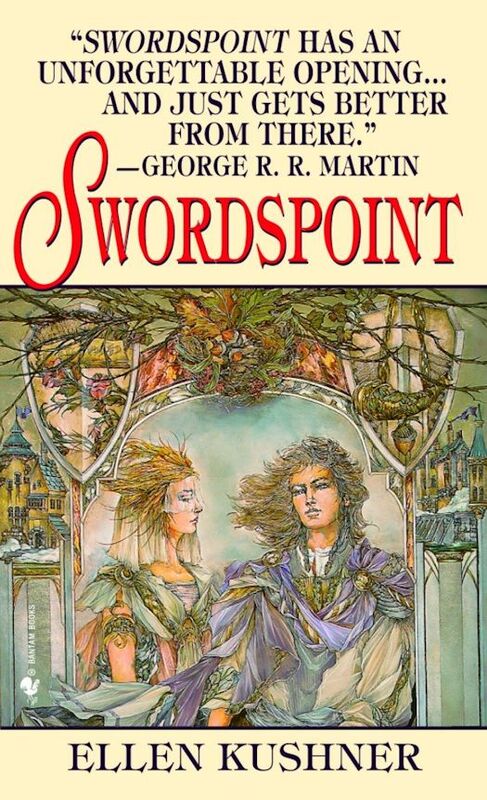 When Ellen Kushner’s Swordspoint was originally released in 1987, it quickly became a beacon of queer-friendly fantasy for a generation of LGBT readers, and all those interested in something a bit different from the status quo of knights, wizards, and heteronormative fiction. Tremontaine continues these themes and promises all the heat, romance, and wit fans have come to love. The Tremontaine writers room brings together Swordspoint fanfiction authors and known super-fans of the original series handpicked by Ellen Kushner and Julian Yap of Serial Box. Ellen is the series creator and the team includes Alaya Dawn Johnson (The Summer Prince), Malinda Lo (Ash), Joel Derfner (Swish), Racheline Maltese, and Patty Bryant. Tremontaine will be released as weekly episodes in digital and audio starting October 28th, 2015, via SerialBox.com, the Serial Box Publishing iOS app, and wherever ebooks and audiobooks are sold. Preorder at Serial Box, Amazon. Tremontaine will also be available at Barnes & Noble, Google Play, iTunes, and Kobo. A new sun rises on the lives and fates of four players in this game of wit and intrigue. Diane, Duchess Tremontaine, the crowning gem of her city’s high class, sits in her manor’s window on The Hill and looks over her domain with eyes that cut and a mind that schemes. 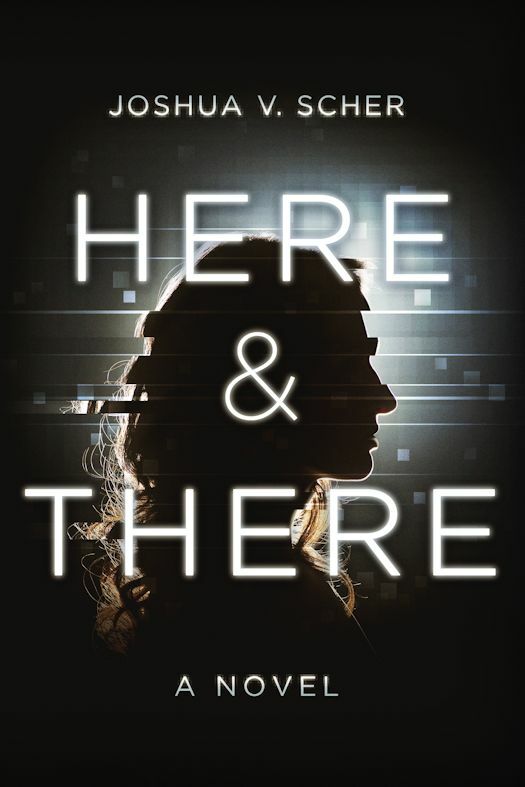 From below, and far away from the glitz of wealth, a poor country farm girl named Micah looks only towards her family, the harvest, and the complex web of math that entrances her. At the Docks, Ixkaab Balam surveys that same city from the deck of her family’s merchant vessel and sees a land to manipulate for fortune and fun. And at the University, a passionate scholar named Rafe bristles at the classism that dictates his world and harbors revolution in his blood. Serial Box is a new publisher here to bring everything that’s awesome about TV (easily digestible episodes, team written, new content every week) to what was already cool about books (well-crafted stories, talented authors, enjoyable anywhere). The classic forerunner to The Fall of the Kings now with three bonus stories. Hailed by critics as “a bravura performance” (Locus) and “witty, sharp-eyed, [and] full of interesting people” (Newsday), this classic melodrama of manners, filled with remarkable plot twists and unexpected humor, takes fantasy to an unprecedented level of elegant writing and scintillating wit. Award-winning author Ellen Kushner has created a world of unforgettable characters whose political ambitions, passionate love affairs, and age-old rivalries collide with deadly results. The Cigarette Smoking Man is Back! !